The executive committee of VINCI Construction Grands Projets is established of 11 members. Patrick Kadri was born in 1966 and is a graduate of Ecole Centrale Paris. In 1991, he joined Dumez Ile de France, within the Tendering Department, before being appointed Construction Manager in 1994. In 1997, he moved to Dumez GTM, first as Project Manager of a waste water treatment plant in Bogota, Colombia, and then as Development Manager for South America in 1998. The following year, he took the position of Deputy Director of the Business Unit based in Sao Paulo, Brasil. In 2003, he moved back to France and joined the Executive Committee of SOCATOP Joint Venture, in charge of the design and construction of Duplex A86 highway tunnel BOT project, near Paris. In 2004, he was appointed Director of VINCI Construction Grands Projets business in France. Between 2007 and 2011, Southern Europe, Turkey and exceptional bridges business line were added to his purview. 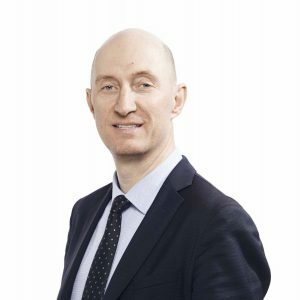 In 2011, he was promoted to the position of Operational Director for France and Mediterranean Europe and joined the Executive Committee of VINCI Construction Grands Projets. Since 2012, his field of responsibility has widened to Operational Director for France, Mediterranean Europe, Africa, Middle East and LNG tanks business line. In January 2017, he was promoted Deputy Chief Executive Officer, Chief Executive Officer in January 2018, and Chairman of VINCI Construction Grands Projets in November 2018. Born in 1963, Éric Chambraud is a graduate of Ecole Spéciale des Travaux Publics de Paris (ESTP). In 1991, following a posting in the former Soviet Union as Scientific and Technical Attaché for the French embassy, he joined GTM International as an Engineer. At GTM, he oversaw projects in the Czech Republic from 1991 to 1994 and in Russia from 1995 to 2000. He was then appointed Sector Director for Russia and the CIS at Dumez-GTM. In 2001, he became Sector Director for the British Isles at VINCI Construction Grands Projets; sector directorship for Canada and the USA were added to his responsibilities in 2004 and 2005, respectively. 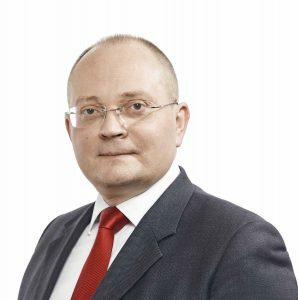 In 2011, Eric Chambraud was promoted to the position of Director, British Isles, Northern, Central and Eastern Europe, Russia, the Americas, and underground works. In May 2018, he was appointed Strategy and Development Director. Yanick Garillon was born in 1960. He is a graduate of ESTP. In 1985, he joined SGE as cost controller on Line 1 of the Cairo subway construction project. In Egypt, he oversaw planning and management for the New Kasr El Aini Hospital in 1987 and the Abu Qir Thermal Power Plant in 1988. In 1989, with Campenon Bernard SGE, he was appointed worksite manager for the Ma On Shan towers in Hong Kong and on Line 2 of the Cairo subway, where he was successively named Area Director in 1993, then Project Manager in 1997. In 2000, he was appointed Director for Egypt at VINCI Construction Grands Projets; in 2004, Director for Gulf countries. In 2010, he was promoted to the position of Chief Executive Officer of QDVC, the Qatari subsidiary of Qatari Diar (51%) and VINCI Construction Grands Projets (49%). 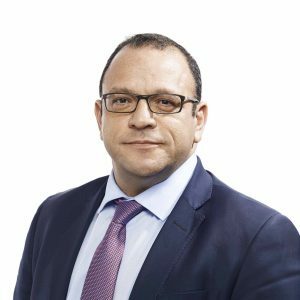 In addition to this duty as Chief Executive Officer of QDVC, Yanick Garillon was appointed Director, Qatar, at VINCI Construction Grands Projets, in 2011 and Director, Qatar and Arabian Gulf, in 2012. He was appointed Asia, Building and Hydraulic works Director in October 2016. Born in 1966, Philippe Tavernier graduated from École Centrale Paris in 1990. He joined immediately Dumez where he held several positions in France, in Egypt for Cairo metro, and in Greece for the Charilaos Trikoupis or Rion-Antirion bridge. After Dumez and GTM merged to become the VINCI group, he was appointed Technical Manager of the high speed rail project CTRL 310 in the United Kingdom, then Section Manager before being named Deputy Project Director of the project in 2004. He moved then to Italy in 2005 as project manager for an LNG Terminal in Brindisi. Then to Oman in 2006 for the Wadi Dayqah Dams project. Philippe Tavernier then moved to Qatar in 2008, as Project Manager of the Lusail LRT project for eight years. In April 2016, he was appointed Chief Executive Officer of QDVC and he joined VINCI Construction Grands Projets’ steering committee in February 2017. In May 2018, he was promoted Qatar, Africa and Middle-East Director. Born in 1969, Lionel Ravix is a graduate of INSA Lyon. He began at Campenon Bernard as a design engineer in the methods department in 1995, then served as a works engineer on the Ventabren Viaduct site for the South-East TGV in 1996. In 1998, he joined the Barrails Viaduct project for the A89 motorway in Gironde as assistant construction manager. In 2001, he worked on Socatop, a project completing the ring road around Paris, and became the construction manager in 2003. 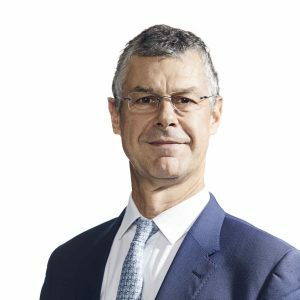 He moved to London in 2007 to take on the position of assistant to the sector director, and was then appointed Sector Director for the British Isles in 2011. In 2018, he was named Operational Director for France, Europe and Russia. Jean-Luc Toris was born in 1964. He is a graduate of Ecole Centrale de Paris, specializing in public works, and also holds a Master in industrial engineering and management of technological innovation. In 1989, he joined the large-scale construction division of DUMEZ and took part in major construction projects onsite. In 1994, he became the Manager of the tunnels and interchanges sector on the BPNL work site (Lyon northern ring road). In 1996, at the SOCATOP site, he was named Manager of the East Tunnel section; in 2003, management of the Rueil-Malmaison interchange sector was added to his responsibilities. In November 2006, VINCI Construction Grands Projets appointed him Director, Engineering and Technical Capabilities. Patrick Béchaux was born in 1960. He graduated in economic science from Université de Nantes and from Institut Supérieur de Gestion in Paris. 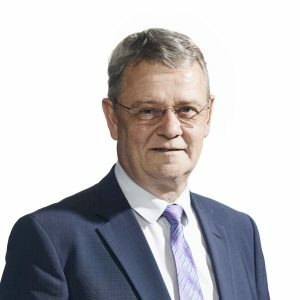 He has spent his whole career in the group, joining Heulin in 1986 as a Controller, and then becoming Manager for Administration and Finance in 1987. In 1993, he became Manager for Administration and Finance for CBC Île-de-France, then in 1998 for Campenon Bernard-SGE. He was appointed Company Secretary and Member of the Board of Cofrinvest in 1999, before joining DUMEZ-GTM in 2000 as a Human Resources Manager. Since 2001, he has been a Human Resources Manager for VINCI Construction Grands Projets. 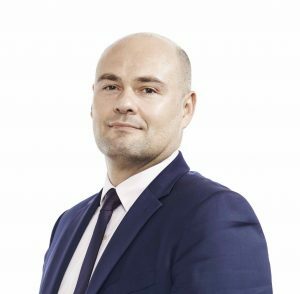 Born in 1975, Arnaud Brel is an Engineer and graduate of Polytech Grenoble in industrial Risk Prevention, Health, Safety, and Environment. He began his career in 2001 at Dumez-GTM as a Health and Safety Manager on the Mont-Blanc tunnel renovation and modernization project. From 2001 to 2004, he held the position of Health, Safety, Quality and Information Technology Manager for VINCI Construction Grands Projets at the Soumagne tunnel worksite in Belgium. 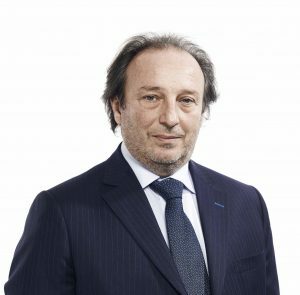 Later, he was appointed to the post of Health, Safety, and Quality Director at a subsidiary of VINCI Construction Grands Projets, Socaso, the project manager for the A28, A85 and A11 projects and the Cofiroute service network. 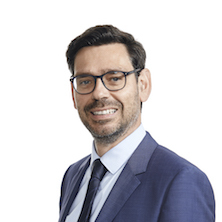 In 2006, Arnaud Brel became head of Health, Safety, Quality, and Information Technology services for the highway A19 project. Subsequently, in his capacity as Health, Safety, Environment, Quality, and Information Technology director, he took part in a tunnel-construction project in Detroit in the United States in 2008 and at the Duplex A86 worksite from 2009 to late 2010. In early 2011, he joined the Crossrail project team in London as the head of Quality, Environment, and Information Technology services. In 2012, he was promoted to the position of Director, Health, Safety, Environment, and Quality at VINCI Construction Grands Projets. Born in 1981, Stéphanie Malek is a graduate of the Centre de Formation des Journalistes. 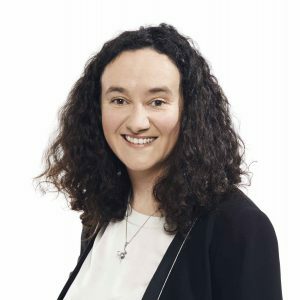 She started her career with the Radio France group, cutting her teeth on its regional (France Bleu Auxerre, France Bleu Limousin), national (France Info) and international (RFI) stations. In 2006, she joined the Tangier-based Franco-Arab radio station Medi 1 in Morocco as a journalist and participated in the launch of the Medi 1 Sat television channel. She was recruited by the French Ministry of Foreign Affairs in 2008 to become an Audiovisual Attaché at the French Embassy in Doha, Qatar, where she initiated and supervised the creation of a French radio station. In December 2009, she joined QDVC, a 49% VINCI Construction Grands Projets owned subsidiary based in Doha, Qatar, charged with the mission of creating a communications department. She put in place the company’s internal and external communications strategy and tools. In September 2013, she was appointed Communications Director at VINCI Construction Grands Projets. Philippe Masselot was born in 1959 and earned a DECS accounting certificate in 1981. He began his career in 1982 as an accountant at Campenon Bernard. He was appointed Chief Accountant in 1989 and Director of Accounting in 1997. In 1999, he held the position of Director, Accounting and Treasury. In 2001, he was appointed Director, Accounting and Treasury at VINCI Construction Grands Projets, where he oversaw the consolidation of VINCI Construction, which he represents as a member of the VINCI working group on IAS-related matters (International Accounting Standards). 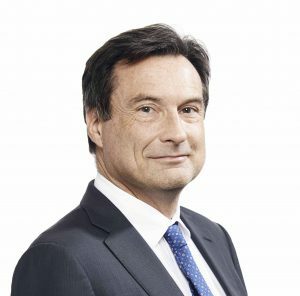 In June 2011, Philippe Masselot was promoted to the position of Chief Financial Officer at VINCI Construction Grands Projets. Eric Seassaud was born in 1968. He holds a Ph.D. in law, a post graduate Specialised Master in Law and International Business Administration of ESCP. He was called to the bar in 1997 in Paris. After a private practice experience, he joined the SUEZ group in 2001. 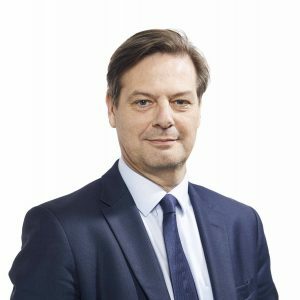 In 2003, he became Deputy General Counsel in charge of major projects at Degrémont’s, a subsidiary of SUEZ Environment, was appointed Director of Contract Management and Arbitration in 2009 before joining Engie in 2011 as Group Ethics & Compliance General Counsel. He joined then VINCI Construction Grands Projets in 2018 as General Counsel. We design and build major civil engineering structures and buildings. VINCI Construction Grands Projets is a part of a lineage of 100-year-old companies. VINCI Construction Grands Projets designs and builds major projects worldwide.